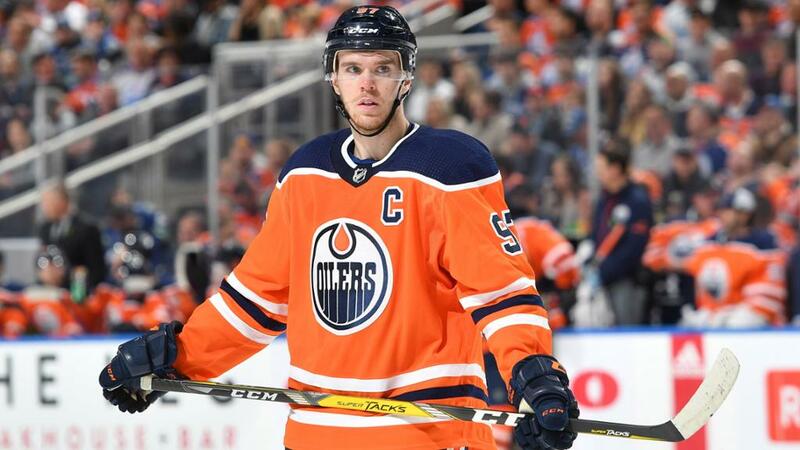 The Edmonton Oilers believe they can return to the Stanley Cup Playoffs without having made significant changes to their roster during the offseason. The Oilers signed free agent center Kyle Brodziak to a two-year contract, and forward Tobias Rieder, goaltender Mikko Koskinen and defenseman Kevin Gravel each signed a one-year contract during a relatively quiet summer. Edmonton did not have much space under the NHL salary cap ($79.5 million) with center Connor McDavid entering the first of an eight-year, $100 million contract, forward Leon Draisaitl going into the second of an eight-year, $68 million contract, and forward Milan Lucic in the third of a seven-year, $42 million contract. "I think the message was that if there was a move to be made, they'd make it," McDavid said. "But obviously nothing too promising came up. That's good. You want to keep the team together." The Oilers did add depth to what they think is a talented roster that collectively struggled last season. They finished 36-40-6 with 78 points, 17 behind the Colorado Avalanche for the second wild card into the playoffs from the Western Conference. It was a 25-point drop from their 47-26-9, 103-point performance in 2016-17, when they qualified for the playoffs for the first time since 2006 and made it to the Western Conference Second Round before being eliminated in seven games by the Anaheim Ducks. "The offseason is not necessarily about acquiring a whole bunch of different players, it's about getting more out of what we have," coach Todd McLellan said. "We've been able to add a few pieces, a goaltender for competition, obviously, Brodziak and Tobias Rieder are big additions, and Gravel on the back end. "All of those players will come in and push our club, hopefully, in the right direction. But most importantly for me, it's individuals. It's the coaching staff and from your top player all the way down, finding a way to play more consistently and play more of a winning brand of hockey than we did last year." The biggest change for Edmonton is its coaching staff. The Oilers hired Glen Gulutzan, Trent Yawney and Manny Viveiros as assistants to replace Jim Johnson, Jay Woodcroft and Ian Herbers. Gulutzan, 46, spent the past two seasons as coach of the Calgary Flames. Yawney, 52, joins the Oilers after five years as an assistant with the Ducks. Viveiros, 52, guided Swift Current to the Western Hockey League championship and a berth in the Memorial Cup last season. "We tried to fill holes and find personalities that we thought would blend together," McLellan said. "I thought it was very interesting to hear the opinions of coaches who were rival coaches in Anaheim and Calgary, on what they thought our team did well or didn't do well. We'll work toward fixing things. As the players are trying to improve their game over the summer, so are the coaches." Outside of McDavid (108 points; 41 goals, 67 assists), winner of the Art Ross Trophy and Ted Lindsay Award for the second straight season, many Oilers regressed last season. Lucic had 34 points (10 goals, 24 assists) in 82 games, his lowest point-per-game production since 2009-10, when he had 20 points (nine goals, 11 assists) in 50 games with the Boston Bruins. "I believe we are headed in the right direction," general manager Peter Chiarelli said. "I don't know if we're going to be as good as we were two years ago, but we're going to be better. To a player, maybe not every single player will be better than last year, but I can assure you a good number of them will be better, due to their age, their pride and what they've done through the course of their careers." Brodziak, 34, returns to the Oilers, who selected him in the seventh round (No. 214) of the 2003 NHL Draft, after he had 33 points (10 goals, 23 assists) in 81 games with the St. Louis Blues last season. The St. Paul, Alberta, native played four seasons in Edmonton before he was traded to the Minnesota Wild on June 27, 2009. "Kyle has had a tremendous career to this point," McLellan said. "He's obviously a bit of an elder statesman now in the League, but that's OK. Those players are really important and perhaps we were missing that last year."